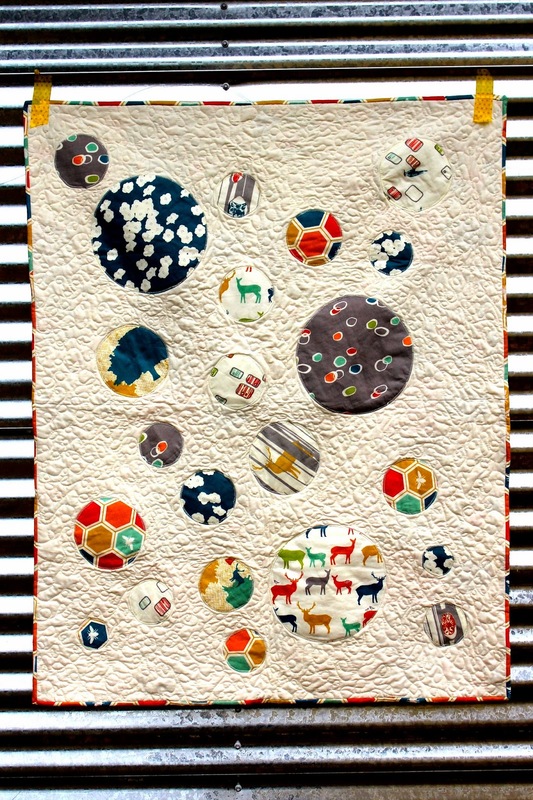 I love this Elk Grove fabric by Jay-Cyn Designs for Birch Fabrics. It is adorable and the color palate is wonderful. I made this little quilt up for my new nephew. Being pregnant myself, I'm a little late (he's already almost 4 months old! ), but hopefully he will love it. I love the way the appliquéd circles came out. I wasn't sure if I should quilt around them, but I think it was the way to go. It gives the quilt really nice texture. I used the cheater quilt block fabric from the Elk Grove line for the backing.